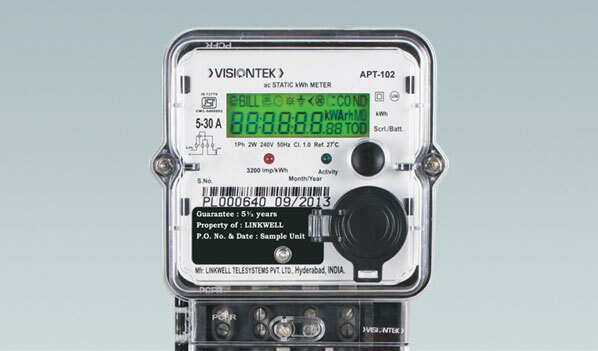 VISIONTEK APT -102 Single Phase Static Electronic Energy Meter is designed to meter residential and small commercial energy consumers in distribution networks. The meter complies with national and international metering standards. It is a perfect combination of well proven metering technology and state of the art communication modems, all integrated in a single enclosure. The intelligent features of detecting and recording different anomaly conditions and cover opening events make it ideal choice for revenue protection for distribution companies.